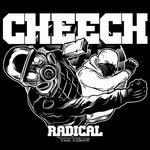 Cheech, which is one of the most criminally underrated bands out of Boston, has provided news on their new album which is currently in the works: "This summer we will be finishing up our 4th full length album. Title and label will be announced in the coming weeks. Be sure, it will be a killer record, one much BIGGER than any previous Cheech release. Because of this, we are starting the campaign now and trying to reach as many people as we can."